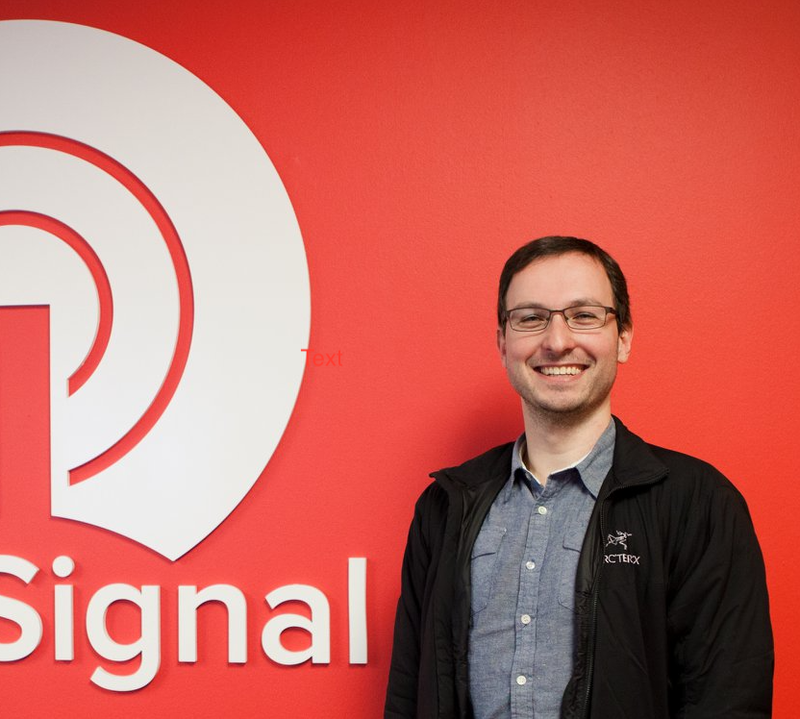 We're excited to announce our newest feature: A/B Testing for notifications. A/B testing allows you to maximize your conversions by sending out 2 different messages to a small subset of your users. You can then decide which message is working better and then send that message out to the rest of your users. It's incredibly easy to use. So easy, in fact, that we encourage you to use it for every message that you send. 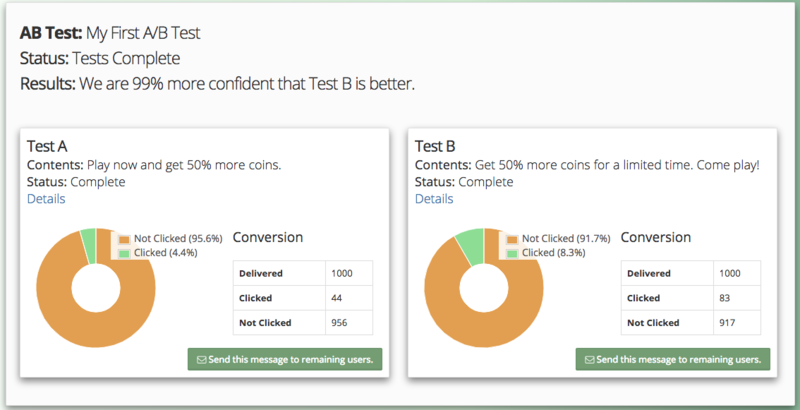 Simply select "A/B Test Messages" on your OneSignal Dashboard. Then, enter your desired content for each message and click send. This will send both messages to a different, small subset of your users. Wait a moment for results to come in. The charts will update in realtime. When our system says it's confident one message is better, simply click the "Send this message to remaining users" button and everyone who did not receive one of the A/B tested messages will get the message you chose. Finally, by popular request, we've also added performance tracking to templates used in Automatic Messages. This will let you see how your templates are performing at a glance. We've got a lot more features to come, so stay tuned and, as always, send us a message if there's something you'd like to see implemented in our service!